Modi govt's ambitious railway project to link Uttarakhand's char dham: a geological risk? The Narendra Modi government is all set to embark upon one of the most ambitious railway projects ever attempted in India. Having already announced the construction of an all-weather road to connect the 'chhota char dham' sites in Uttarakhand – Kedarnath, Badrinath, Gangotri and Yamunotri – the government has begun the process of creating a single broad gauge railway line connecting the four cities with the rest of the country. If successful, this could be an engineering marvel which would put India in the league of other developed superpowers. On 13 May, Union Railway Minister Suresh Prabhu laid the foundation at Badrinath for the final location survey of this railway line. The site survey itself will cost a whopping Rs 120.92 crore, while the total cost of the ambitious project is set to be at least Rs 43,292 crore. The total route length is expected to be around 327 km. This will include 21 new stations, including 59 bridges and 61 tunnels spanning 279. During the ceremony Prabhu, who was accompanied by Uttarakhand Chief Minister Trivendra Singh Rawat, said this railway line would not only benefit the tourists, but also the locals who would be able to conveniently travel from one place to another. He also added how it would bring more jobs for the people of the hills. In addition, Rawat referred to it as a historic moment which will be remembered by the people for a long time. The linking of the char dhams could be a huge step, but experts suggest that much research is needed before embarking on such an ambitious project. Geologists warn that lack of research could have major geological and ecological implications, which could scar the region forever. Considering that the Himalayas, particularly Uttarakhand, are one of the most fragile mountain ranges in the world, Professor Saumitra Mukherjee, Dean, School of Environmental Sciences, Jawaharlal Nehru University, said that without a feasibility study, there were lot of risks involved. He pointed out that making this railway line is doable if science is followed, and cited China's example of constructing a railway line in Tibet. “Railway lines are possible, but the study needs to be carried out using High Resolution Satellite data, to infer potential changes in this area,” he said. He, however, did not rule out the possibility of landslides and road sinking, and suggested that before embarking on a project of such grandeur, it is essential to study the behaviour of springs, especially the temporal changes in their temperature and discharge. “Before proceeding, government should study the fluvial geomorphology change in the last 100 years, and seismic microzonation map in 1:10000 scale,” he said. Fluvial geomorphology is the study of the form and function of streams and the interaction between streams and the landscape around them. According to Mukherjee, any major changes in the landscape, which are expected because of this exercise, could lead to springs drying up. “New tunnel and road construction may develop fractures in the rocks, which may lead to the drying of springs and lead to ecological problems. Ecological diversity should be maintained at any cost,” he said. Since Uttarakhand falls in the seismically sensitive zones, the carving out of tunnels in this highly fragile mountainous region could also trigger earthquakes. It is for this very reason that Mukherjee suggested a seismic microzonation mapping, which, according to TG Sitharam and P Anbazhagan, essentially means subdividing a region into individual areas having different potentials hazardous earthquake effects, defining their specific seismic behaviour for engineering design and land use planning. In their paper, 'Seismic Microzonation: Principles, Practices and Experiments', Sitharam and Anbazhagan claim that microzonation is the most accepted tool in seismic hazard assessment and risk evaluation, and it is defined as zonation with respect to ground motion characteristics, taking into account source and site conditions. Sitharam and Anbazhagan go on to claim that seismic microzonation will also help in designing buried lifelines such as tunnels, water and sewage lines, gas and oil lines, and power and communication lines. And since a majority of this railway line will pass through tunnels, Mukherjee stresses on the importance of microzonation. 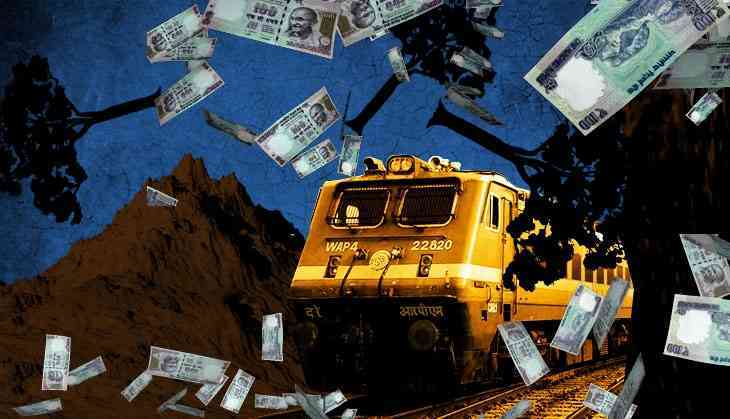 Dr DP Dobhal, scientist at the Wadia Institute of Himalayan Geology, also agrees on all the points raised by Mukherjee, though he calls the railway project 'a good initiative'. He, however, believes that it is too early to make any comments, since no studies have been done as yet. “It is only possible if you carve the tunnels through rocks, otherwise it is next to impossible,” he said. He went on to add that a lot of research is needed before embarking on this project, and said work on the Rishikesh-Karnprayag line has already begun, and if that could be done, this would also prove achievable. “As a matter of fact, hard rocky mountians start right after Karnprayag, so if we can reach till Karnprayag, the rest of the work is completely doable if scientific methods are followed. Else, it could have disastrous consequences,” warned Dobhal.